Six months ago, the SuperSonics became an artifact of history, seemingly as relevant to modern Seattle life as a Seattle Pilots pocket schedule. In the ensuing half-year, discussion about NBA basketball in Seattle has focused upon renovations to KeyArena, motivating area politicians, and the neverending debate as to whether Danny Vranes’ skin was, in fact, so pale that it could be used in lieu of lighthouses on the Washington coastline. Important machinations aside, little has been spent discussing just which team would inhabit the new arena supporters are intent on building. Commissioner David Stern has left no vocal chord untrembled in his confident assertions that expansion will not happen, leaving Seattle in the unenviable position of waiting for another city to suffer through what it just went through. Like the family of a potential kidney recipient waiting for a donor, Seattlites are playing a ghoulish waiting game. We study the attendance figures in Memphis, read the tea leaves in New Orleans, and parse the words of Robert Johnson in Charlotte, attempting to decipher if one of those franchises will soon be partaking in David Stern’s perpetual game of musical franchises. Left out of the conversation – as always – are the fans in those cities. Just as Seattle fans were belittled by the national media as unsupportive, Memphis and Charlotte fans hear the bells beginning to toll for them. Their lack of support for franchises in so much disarray it seems as if they are run by a consortium of schizophrenics has given the green light to speculation about relocation. How do the fans of those teams feel about these rumors, though? Have they adopted the Nussbaum Style of Ignorance, wherein they ignore the talk and try to focus on the games? Do they believe that any of this is actually going to take place, that their team(s) will leave town, forcing them to engage in the pitiable self-flagellation seen so much from sites like, well, ours? I decided to talk to those fans to get a feel for what they’re going through. 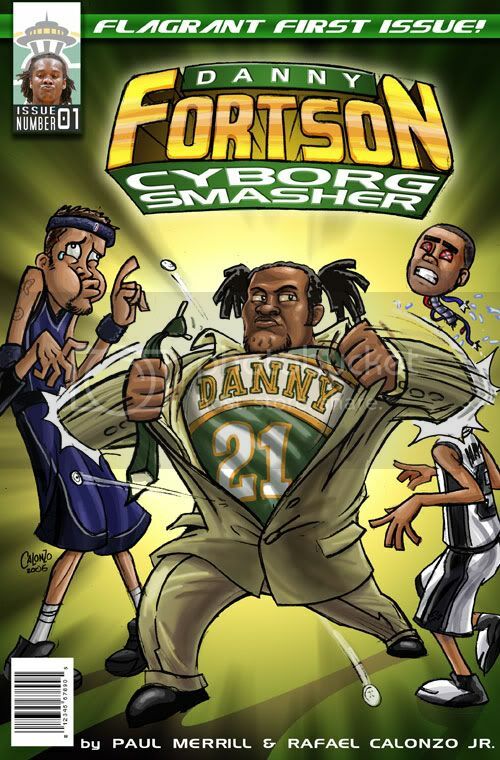 After all, who better than a crusty, bitter old Sonic fan to gauge the feelings of other bitter NBA fans? The New Orleans Hornets, more than any team perhaps, embody the vagabond nature of today’s NBA franchises. In the span of a decade the team has resided in no less than three cities, and its owner, George Shinn, shamelessly flirts with other cities like a trophy wife with the club tennis pro. So it is no surprise to hear Seattle fans aim their sights at the Hornets as a tenant of the prospective new KeyArena. Sure, the Hornets are popular at the moment, but how does that stack up with the Saints, or high school football, or beignets? Doherty’s faith is well placed. With an attendance mark of near capacity, a team living in the penthouse of the Western Conference standings, and a superstar in Paul, the thought that the team is not long for the Crescent City – so prevalent less than 12 months ago – has disappeared more quickly than Mike Brown from George Bush’s rolodex. Add in the fact that Shinn would have to pay minority owner Gary Chouest close to $100 million if the team moved, and the possibilities of seeing Chris Paul in a Sonics’ jersey grow slimmer still. I don't think that will be a problem guys--Bennett and co. probably have no idea who you are! I don't know how I missed this : The Poetry of Brent Barry. 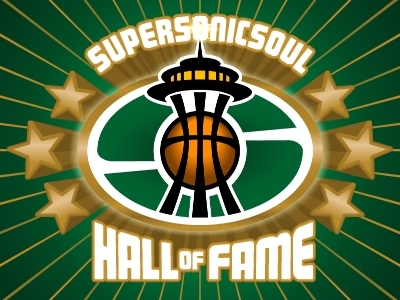 And if you're wondering about the picture of Brent Barry above, you should go here (scroll down to "Seattle Supersonics" video), and here, and here. God bless you, Wong Doody. 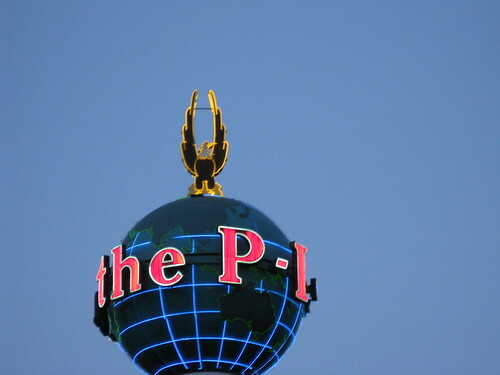 The Seattle P-I is being put up for sale, and if after 60 days it has not sold, it will either be turned into a Web-only publication or discontinued entirely. "One thing is clear: at the end of the sale process, we do not see ourselves publishing in print," said Steven Swartz, president of the Hearst Corp.'s newspaper division. As far as depressing local news goes, this ranks up there with the Sonics leaving town and the gutting of Ballard (Sunset Bowl, Denny's, etc). The P.I. is the oldest paper in town, the building is one of Seattle's few remaining icons, and for the past thirty years (!) they have employed my favorite sports writer. I mean, what the hell am I going to do without Art Thiel in the morning? I might have to actually interact with my children at breakfast! Going to an online format to fix their money problems, though, is a brilliant idea. After all, the internet is PAVED WITH GOLD! We here at Supersonicsoul make MILLIONS OF DOLLARS every day! Right, Pete? Right? Hello? Now if you'll excuse me, I'm going to go hug the Space Needle before they turn it into condos. Here's another resolution I could have thrown on the pile from the other day: Putting a weekly wrap-up of the league's attendance figures on the site. In keeping with my previous goal of toning down the bitterness, I'll just present the numbers and let you interpret them how you will. First, a side-by-side comparison of last year's game-by-game numbers and this year's. In both graphs the pink indicates the 07-08 season, the blue is 08-09. And, a look at the same numbers, but with the totals for Oklahoma City and New Orleans removed. And, on a side note, a look at how the league's attendance played out as the season progressed. There was talk earlier in the year that the low attendance numbers were more indicative of the time of the year than they were of any problems in NBA popularity. There might be some validity to that argument. The Thundercats' ownership apparently shares the same broker, as Tom Ward has joined Aubrey McClendon in off-loading a boatload of shares of his company's stocks. "Tom Ward, the chief executive officer of SandRidge Energy Inc., has sold 8.9 million shares of his common stock in the company to Tulsa businessman George B. Kaiser. ... Kaiser bought the 8.9 million shares for $50 million, or $5.62 per share." "President and CEO Tom Ward purchased 460,000 shares at $48.95 on May 19th/20th, which increased his already substantial holdings to nearly 36.95 million shares, or a 25.27% stake. ... His only other open-market purchase came in November 2007, when he took down 4.17 million shares at $26.00 in the company's initial public offering." I'm no math wizard, but that's a $104.9 million loss Tom Ward just took yesterday, not to mention the fact he just gave up a heckuva lot of control in his own company.